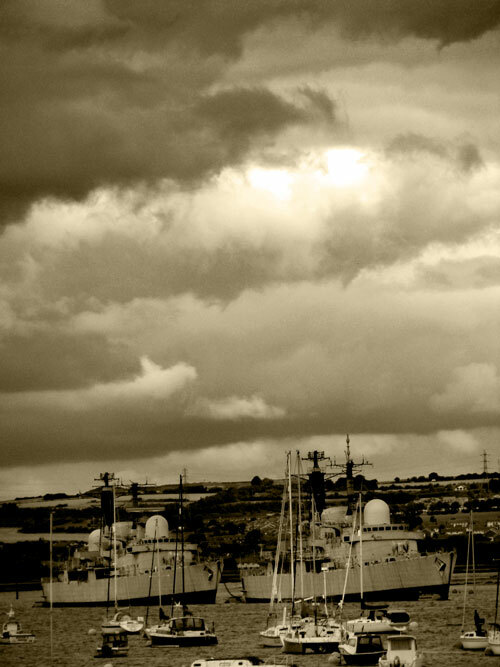 Black and White photographs have a special place in our hearts - discarding distracting colour, they focus attention on the subject, composition, texture and light. 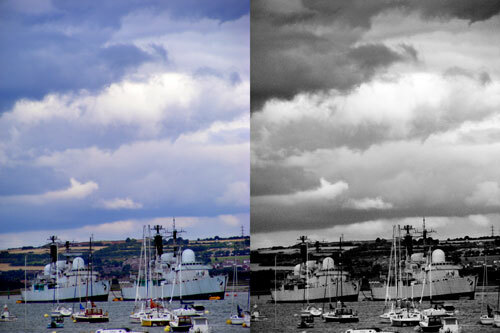 There's loads of different ways of converting to Black and White, but here's a really simple way that'll work in Elements and Photoshop. 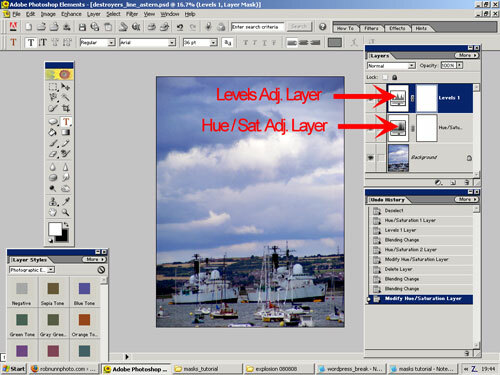 Now double click on the Hue / Saturation Adjustments Layers Icon, to bring up the dialogue box. 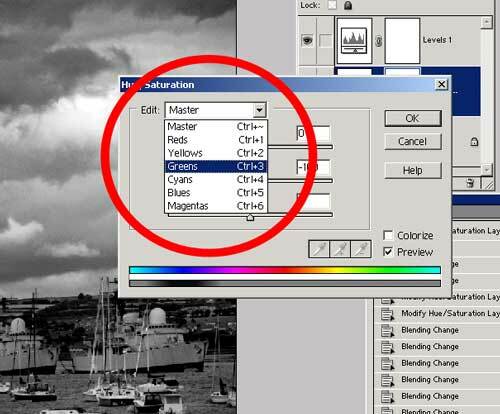 In the drop-down menu, make sure "Master" is selected, then drag the "Saturation" slider all the way to the left. Click "OK". 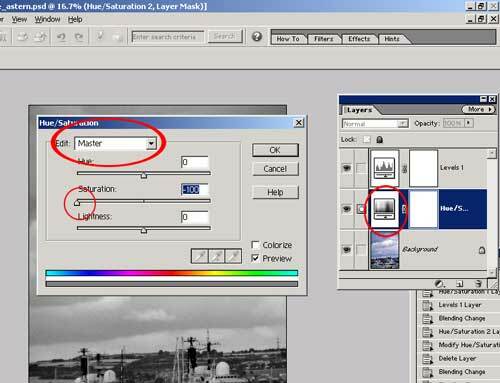 Now double click on the icon in the top levels adjustment layer. When the dialogue box appears, use the black, mid and white-point sliders to make the image look a bit more dynamic. Slide the black level to the right, the mid to the right a little, and move the white point slider to the left a little. That's an OK Black and White adjustment, but we can tweak it a little. 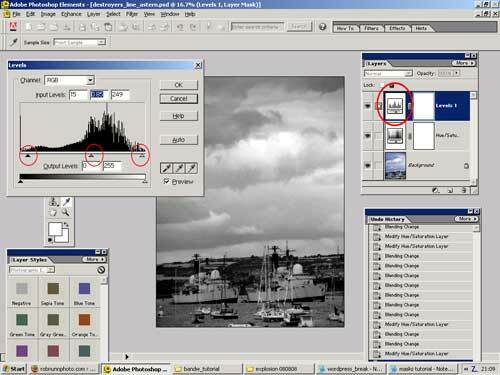 Now this method doesn't give you the control of the Channel Mixer or Black and White Adjustment Layer in Photoshop - but it's a quick and easy way of slightly tweaking your Black and White Conversion. Once you're happy, double click on the levels adjustment layer (at the top of the layers palette) and give that a tweak. Why not experiment and change the blend-mode of that top layer? You don't have to, but I'm rather partial to the odd Sepia Tone - so bring up the Layer Styles Palette - press "Window" at the top of the screen, make sure "Layer Styles" is ticked. 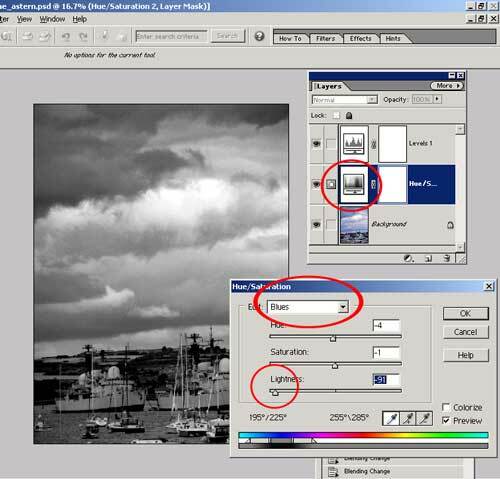 In the Layer Styles Palettes select "Photographic Effects" from the drop-down menu. 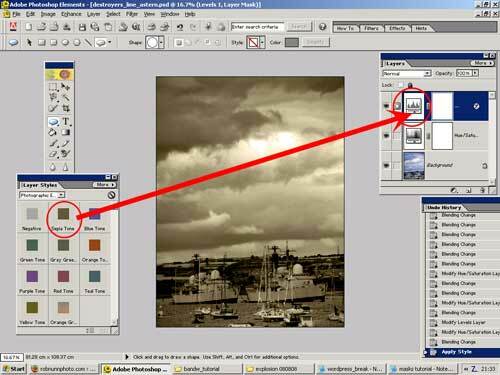 Click and drag the Sepia style across to the top Layer in the Layers Palette, and drop it on the Icon. Done! I hope you enjoyed this simple black and white conversion technique - pretty soon you'll be investigating the more advanced methods! Great tip, I'll give it a go, thanks, Rob.